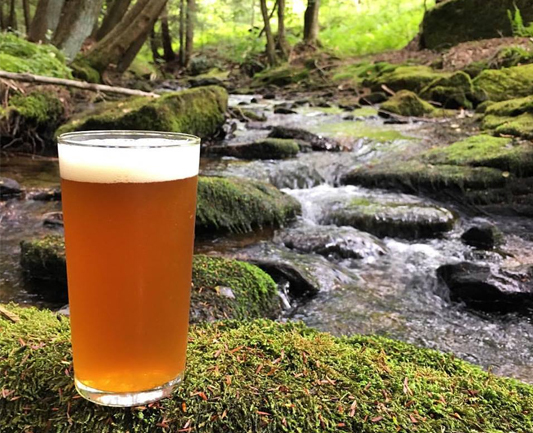 Butler County Beer Circuit | Visit Butler County Pennsylvania! You know the feeling you get after tasting a cold, draft beer? Now imagine being able to try a variety of craft beers made locally! Introducing the Butler County Beer Circuit - a listing of the local breweries within the area. Here you will find the Brew Pubs that create the beverages we know and love along with highlights and special features throughout the year. You’re in Butler County, PA - home to rolling hills, charming towns, quirky attractions and breweries! Get to know the beer scene in our area by navigating your way through the Butler County Beer Circuit, a self-guided tour of local brew pubs. 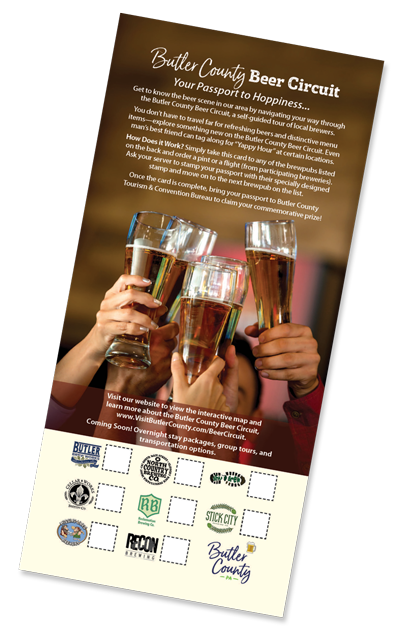 Simply get a passport, take it to the brew pubs listed, order a pint or a flight and receive a stamp at each location. Once the card is complete, you can bring it to the Tourism Bureau to claim a specialty mug and more for completing the Butler County Beer Circuit. Each brew pub offers a variety of unique and local craft beers year round. You don’t have to travel far for refreshing beers and distinctive menu items—explore something new on the Butler County Beer Circuit. Passports can be picked up at participating brew pubs, the Tourism Bureau or any of the 35 brochure racks throughout the county. Must be 21 or older to participate. Please drink responsibly. A brewery five years in the making, but we assure you it is worth the wait. 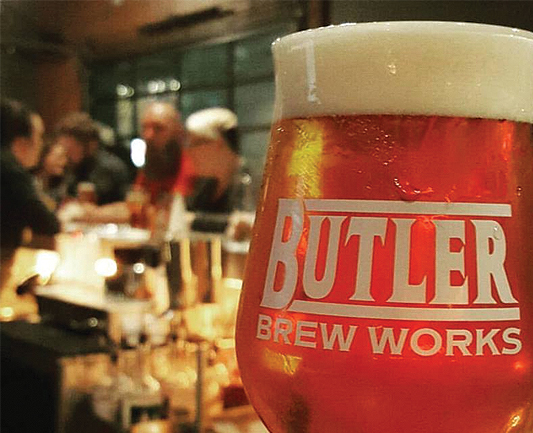 Butler Brew Works is the culmination of years of blood, sweat and beers, based on the vision of three long time friends and home brewers. We’re out to change the perception of what good beer is and bring an exciting craft beer destination to the people of Butler by producing an ever-changing variety of adventurous ales. So stop on by and join us, we can’t wait to serve them to you. 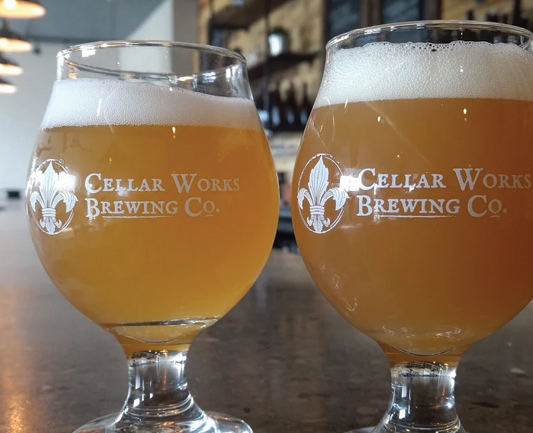 Small batch, handcrafted, and locally minded – Cellar Works Brewing Co. is an independent craft brewery that focuses on locally sourced ingredients brewed with a farmhouse philosophy. Though we collectively appreciate and enjoy all beer styles, our individual passions couldn’t be further apart. Expect diverse offerings comprised of European lagers, hoppy American ales, and Belgian style and sour ales. 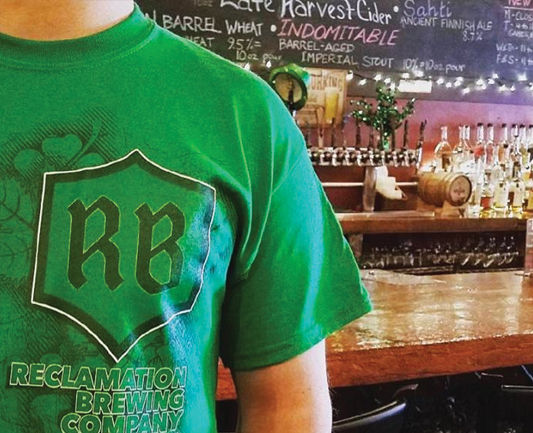 When Jodi and Bob opened the doors to North Country Brewing Company in 2005, they couldn’t have expected the support and demand that Slippery Rock had for good craft beer. Over the years, our brew pub has featured over 100 different types of beers, ranging from traditional reds and stouts, to more outlandish and experimental brews such as bacon-flavored brews and chai tea-infused ales. North Country Brewing Company has always thrived on the belief of “community before self”. Their annual Brewfests have raised over $50,000 for Slippery Rock Development, which helps maintain Slippery Rock’s appearance and appeal. Too frequently, the beer culture gets a bum rap. Although we’ve made some progress, we haven’t yet fully recovered from the negative light that was cast upon us during the era of Prohibition. 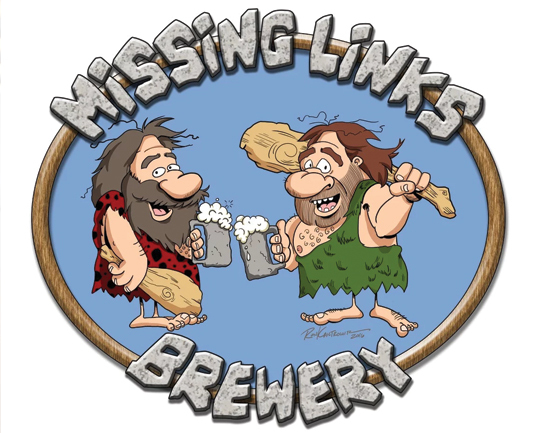 We’re striving to educate people about beer and its history. We want to help elevate the beer culture above the idea that beer drinking is only at home in some seedy subculture and continue to move it where it belongs - as part of the normal course of life. Along with other craft brewers, we are seeking to reclaim beer drinking from the idea that it has to be a bland, boring, tasteless experience. We’re committed to the idea that beer should be good and a pleasure to drink. 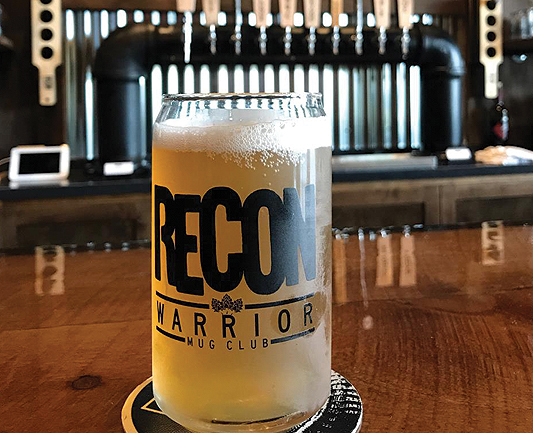 Recon Brewing was established in February 2016 by three friends, all born and raised in Butler that met through the fire service in Butler Township. Toby, Dave, and Nate set out on a mission to start a brewery that would focus on high quality, yet simple beers that will become known for their drinkability and value. As many of you know Butler is the birthplace of the “jeep” vehicle. What many of you may not know is that the first “jeep” prototype was called the Bantam Reconnaissance Car (BRC). We want to capture the essence of Butler in everything we do and what better way than to have our name be a tribute to such an important part of our history. Our dream is that Recon Brewing is a relaxed atmosphere that invites all walks of life to come spend their day or evening with us and share a pint. It is a dream in the process of becoming a reality. 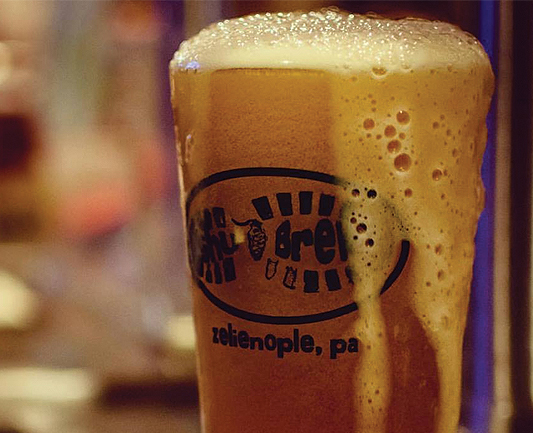 Located north of Pittsburgh in downtown Zelienople, PA, ShuBrew Handcrafted Ales & Food is a brewpub specializing in craft beer and distinctive menu items that are offered to you in a relaxed, fun atmosphere. Our menu changes seasonally offering unique food made with flavorful ingredients that pair well with our beers! All of our beers are meticulously thought out and brewed in nearby Harmony, PA on a three barrel system, allowing us to experiment with different styles and ingredients on a weekly basis. The brews are brought to you by owner and Certified Cicerone® Zachary Shumaker who believes that there is a beer out there for everyone, you just haven’t found it yet. Want to try something aside from beer? We also offer craft cocktails made with local spirits. We also offer mead and hard cider. Family-owned and operated, Stick City Brewing Company is a local artisan brewery that thrives on handcrafting fresh and innovative beer styles. The owners of Stick City Brewing Company have deep roots in the Butler County area and want to celebrate the sense of community that is often found in many of its small towns. The brewery provides an inviting, organic and family-friendly atmosphere for local residents and craft beer enthusiasts. Here, the customers of Stick City Brewing Company will gather and enjoy the highest quality and freshest beer available. With high demand for brews, these production facilities have opened to the public with beers on tap and unique events. Open hours limited so check their websites for dates and times! Right down the road from the acclaimed brewpub is the North Country Brewing (NCB) canning facility. Over the years, NCB saw such demand for their brew that they decided to open a production facility. 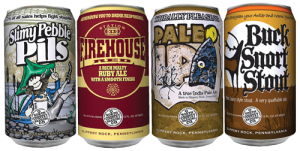 Since its inception, the production facility has shipped beer to every county in Pennsylvania, Ohio, and will soon offer its wares in Florida. The production facility has brewery tours that are free and open to the general public. Check their website for dates and times. Even “man’s best friend” can join you for a beer... Bring your dog with you on Fridays for “Yappy Hour” and enjoy food and drink specials on the outdoor patio. Just minutes away from their brewpub in Zelienople, is a new taproom—ShuBrewery. The ShuBrew pub has recently expanded to the Harmony brewing location. The original pub is still open for lunch and dinner year round and the brewery features a taproom with beer for purchase. 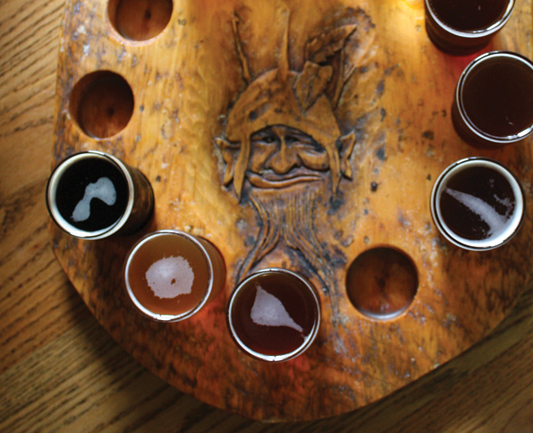 ShuBrewery is a laid-back environment where beers are freshly brewed and samples are available. The brewery currently has limited hours. Visit their website for more details. Coming Soon! Overnight stay packages, group tours, and transportation options.